Our second book is now on sale. We looked through 1000s of thespians' movie careers....and came up with the Top 50 Movie Stars of All-Time....Statistically Speaking. Classic stars did very very well. Actually of the 50.....only 18 are still alive....and of that 18....only about a dozen are still active. For example. Our Top 10 in ABC Order. Humphrey Bogart, Gary Cooper, Harrison Ford, Cary Grant,Tom Hanks, Katharine Hepburn, Gregory Peck, Jimmy Stewart, Spencer Tracy and John Wayne. Figured the movie experts on this forum would appreciate a book that did not forget the legends. Who are the top-10 actors and actresses over any 3 decade period. E.g. 30 - 50, 40 - 60, 50 - 70, 60 - 80. I use 3 decades because I'm interested in longevity: yea, there have been very 'hot' actors in every decade but many fade, especially after 10 years or so. If I'm not mistaken Glenn Ford would be right at the top for 40 - 60 (or maybe 50 - 70? ), since he was very big in the 50s but strong in decades prior and after that. I.e. he was a fan favorite for a very long time. Of course many of the top-10 stars you listed would be in the top 10 for a 3 decade period, but I wonder if any of them would be in the top-10 for two of these: e.g. 40 - 60, and 50 - 70? (which means they were 'strong' for over 4 decades. Hey, I know that this would take work, but I just love this stuff and you do good work. I would guess John Wayne had one of the longest stretches at the top. I don't have the data, and I may be wrong, but he was a top-ten star from the 40's-60's, at least. More recently, Tom Cruise would be a top ranked star from the 80's-00's. Our database makes that pretty easy to calculate. For the years 1940 to 1969....here are the Top 35 based on adjusted domestic box office. These numbers are in billion. So Glenn Ford sits in 29 place with $5.49 billion. This is the raw data...so supporting actors did very well in the final numbers. And yes...our book is at Amazon.com. John Wayne's not even on the list?!? I don't know all of your parameters, so I can't judge your results, and I'm not saying they're wrong. What do you think of these tables? I did not think anybody had over $10 billion when putting that list together.....but there is The Duke sitting in first place. Should not have underestimated him. New list. That drops Glenn to 30th place. I'm a fan of William Demarest, and there's no doubt that his supporting performances contributed greatly to many top classic films, but is it really fair to credit him with the success of those films, to the point that you have him ranking as #5? Same with Agnes Moorehead at #6 and Walter Brennan at #17. I get that this is raw data in terms of film grosses and I'm not questioning the legitimacy of the earnings figures for the films featuring all of these actors, I'm just not sure what those figures actually reflect in terms of the "earning power" of the actors listed. Hey Dougie B.....in the book....supporting actors and actresses taken out of the rankings for the exact reasoning listed in your comment. 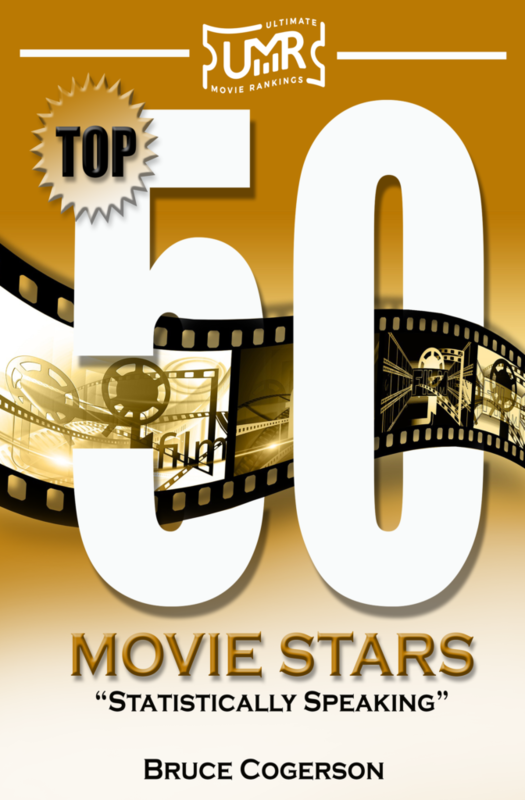 Of the 36 stars listed in response to James query...15 of them made our Top 50....so 21 of them failed to make the book. Thanks for the feedback. Hey Lawrence...those Quigley Top Money Makers Lists are fun....but I do not feel they were too accurate. In baseball they give out Gold Glove awards...once you win one....there is a high probability that you will win numerous more. I think those polls were that way. John Wayne was a huge hit making machine for decades....but he did have some off years between 1939 and 1976...yet...he was always on the poll. My father-in-law and his father ran the Auburn Theater in Auburn, Alabama for years.....and he remembers when they filled out those polls for Quigley.....they did not look at numbers....just filled out the poll based on popular stars versus box office receipts from the year. Still...I miss that Quigley no longer does their poll. I think their last one was in 2013.
john wayne has a strong claim to being the greatest American movie star of all time!